Studiofibre was invited to design a concept boutique store for a leading lifestyle brand. Our approach was to push the normal boundaries of a contemporary retail space, and to create an experience designed to engage shoppers in an entirely new way. The ‘Colour Concept’ store positions the user in a space between the physical and the digital world, inviting them to recreate their personal histories, and the special colours associated with those memories. This interactive experience celebrates the colour spectrum, creating a virtual archive of hues and associated backstories for the brand to draw on to inspire future product development. This delivers in-store theatre and invites the consumer to become closer to the brand. 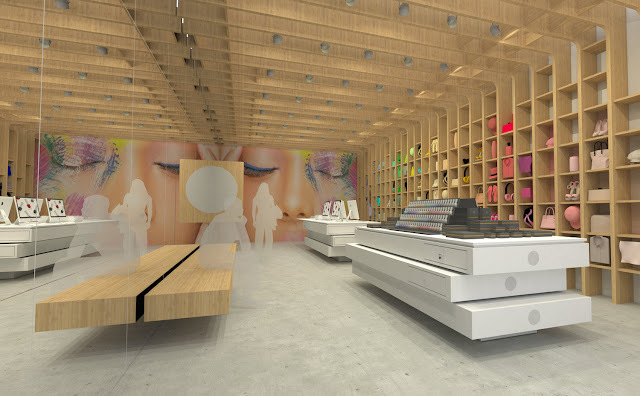 The design concept attempts to move beyond ordinary retail space and connect the ever expanding digital social platform with the physical world of bricks and mortar. The user and their story is the central narrative of the design and forms an ever evolving backdrop to the clients commercial interest. Contact our team for more information about our retail design work.